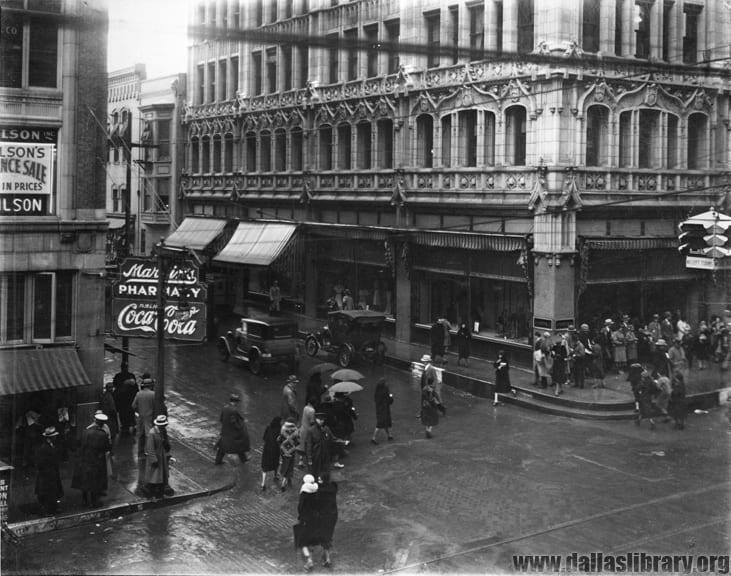 A view northeast from the intersection of Main and Akard Streets, 1932. From the collections of the Texas/Dallas History and Archives Division, Dallas Public Library. Looking northeast at intersection of Main and Akard. 1932. PA 78-2/643. From the collections of the Texas/Dallas History and Archives Division, Dallas Public Library.